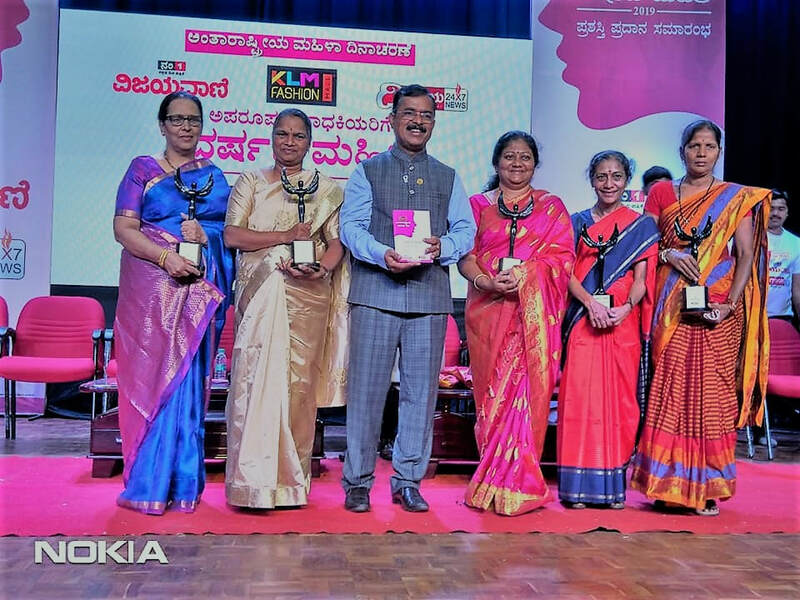 ​and the Mayor of Bangalore, Ms. Gangambike Mallikarjun (to her right). In September 2015, Ms. Valliamal was one of the 10 laureates of the WWSF (Women’s World Summit Foundation) for women's creativity in improving rural lives with special focus on food security. 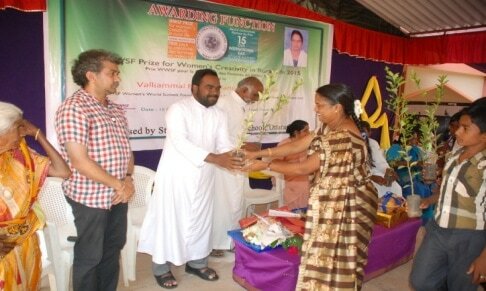 In the recognition it says Valli's project, the Anisha Trust, „has demonstrated laudable environmental ethic for its emphasis on local food production and consumption, use and conservation of native seed species, organic farming practices and alternatives to chemical pesticides and fertilizers. 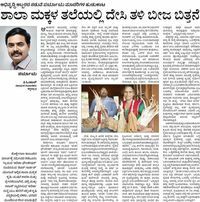 Valli has demonstrated courage by leaving behind opportunities and income in Bangalore and instead devoting her energy to the rural poor.“ (see picture above). Original Prize Document . Another award came in December 2015: Anisha was chosen to be one of the best 20 projects in the segment „agriculture“ in a yearly competition that seeks to promote innovative and exemplary environmental projects. The competition is a joint project of the German Federal Environmental Foundation (DBU) and the Council for Sustainable Development of the Federal German Government, two of the largest European foundations centering on environmental technology and research, nature conservation, environmental communication and cultural assets. The General-Secretary of DBU, Dr. Heinrich Bottermann, explained at the award ceremony: "Comprehensive soil conservation can only succeed if all sections of the population are aware of the importance and the value of the soil and the risks posed to it." (See picture above this paragraph). 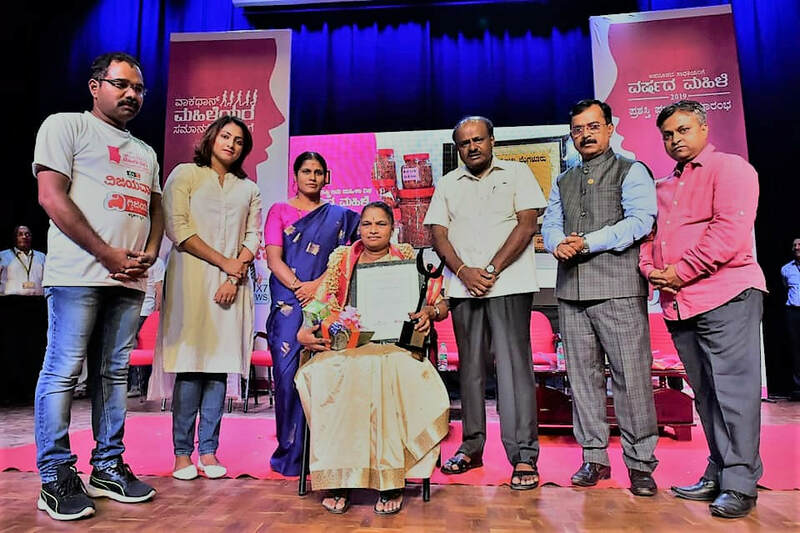 In 2013, the Taluk Revenue Administration and Education Department recognised Anisha’s work and honoured Anisha for the excellent work on organic agriculture and conservation of native seed. 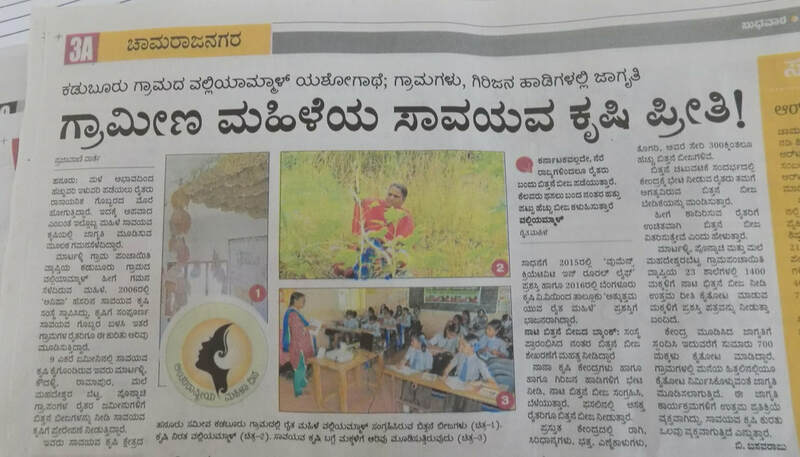 It is a great achievement for Anisha as this honor is recognition of the importance of organic agriculture on the part of the Indian Government.